It seems like only yesterday that the thought of jumping into a stranger’s car to go somewhere sounded crazy, but in the last few years, ridesharing has boomed across the world as a new mode of transportation. Now, many people who have never bought a car can’t see a future where owning one makes sense — avoiding the headache of car ownership combined with the great service and convenience of ridesharing make this new modality a no-brainer. We still have the need to get from A to B, and for cars that aren’t 100% electric, it’s an expansion of our personal carbon footprint to use ridesharing. Does ridesharing reduce emissions? Academics are busy investigating whether this new modality overall reduces carbon emissions, but what we do know is how often we take these rides and the distance we traveled. Using actual rideshare data, offsetmyride.io co-creators Andrew Huynh and Ian Janicki decided to see how much rideshares were affecting the environment. Offsetmyride.io is a simple web app that takes the total mileage traveled using Uber or Lyft services during 2016, translates that distance into your CO2 impact, and enables you to securely donate to offset your rideshare carbon footprint through Carbonfund.org Foundation. 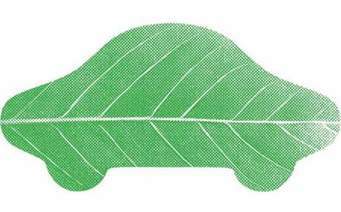 3 – Offset those emissions with an affordable donation to Carbonfund.org! Please try offsetmyride.io today to offset your 2016 Uber and/or Lyft rides and spread the word! Together, our impact is so much greater!